Your emergency Go!Bag needs your personal touch. We've got you covered with the 10 Essentials, but now you need to think about your personal safety and comfort. Here are the things you put together at home, with a few of our recommended products to make it easier. Glasses. Sunglasses, reading glasses, any prescription glasses and contact lenses if you wear them. There are worse things than not being able to see, but not many. These take up some space, which is why we recommend a GoBag for each adult member of the household (including teens) and one for up to 3 or 4 smaller kids. Not a bad idea to add a plush toy or something to cuddle for smaller children as well as a few toys to occupy them. These are all really self-explanatory, but make sure you don't forget to throw these in your GoBag. Feminine care products. These go without saying. Anti-itch cream. Benadryl ointment and Cortisone ointment for itching. I carry both because sometimes one works better than others depending, and even with bug spray I'm one of those folks that bugs really love to bite. Plus stress can cause skin reactions, so it's nice to be able to get some relief. Burn cream. Good relief for sunburn as well as any other mild burn. First of all, make sure you label all your meds properly. Make a not of when they expire, and update them once a year. If you downloaded our Emergency Plan, we'll send you a reminder email once a year. If not, you can sign up for our newsletter below. Sometimes the worry of expired medicine prevents folks from putting this together. Don't be that person! Far better to have expired meds than be without. 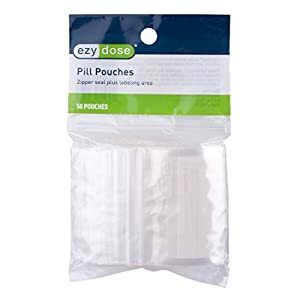 You don't have to buy anything special, a box of Ziplock bags works fine. (We use these). Suggestion: When you label your personal medicine, put your name on it, what's it's for and the dosage. You might also include the name your family calls you in case you are unable to speak. Now don't forget to stay hydrated!